Season 12 of America’s Got Talent (AGT) is coming soon, and eTribez helped get things started with online auditions for the next season of the show. America’s Got Talent, produced by FremantleMedia North America, debuted in 2006 and airs on NBC. As part of our continued successful partnership with FremantleMedia NA, eTribez is providing various Casting and Production Management solutions for the show – including Online Auditions, RSVP Ticketing, Application Management, Audition Management for all cities, Online Dynamic Galleries for executive producers, eSignatures, Episode Planning, Logistics and Travels and more. eTribez’ systems fully comply with NBC and FremantleMedia’s data security policy. For a look at the eTribez-powered link that we held for open calls, see: http://www.americasgottalentauditions.com/audition-cities/. Online casting for The Voice Kids is now live in Brazil, with eTribez Casting helping TV Globo lead the search. On the show, kids will compete to be one of the most unique and distinctive voices to make it to the final auditions, and eventually perform for the celebrity judges. The series consists of three phases: a blind audition, a battle round, and live performance shows. The audience will help decide who moves on. When one team member remains for each coach, those three contestants will compete in the finale, with the most voted singer declared the season’s winner. The show’s winner will be entitled to a $250,000 Brazilian Real prize and a recording contract with Universal Music Group. Casting for the show is ongoing. 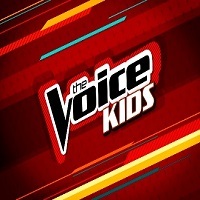 For a look at the casting URL, see: https://globo.www.etribez.com/a/globothevoice/thevoicekids/welcome. eTribez is pleased to announce The Builder, an exciting new upcoming module for our Casting for Non-Scripted TV solution. The Builder will provide a self-service mode that allows our clients to set up casting registrations and workflow in the administration system on their own, and make changes to them later at any time. This module will be released later in 2017. 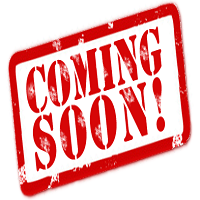 More info to come soon…Stay tuned!! !